The Burrells are expanding their beekeeping operation to enter a new market—pollination services for fruit and vegetable growers. 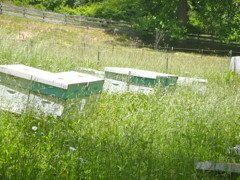 They are increasing their current colonies from 230 to 350, with approximately 125 dedicated to pollination services. They are using queens from a new breeder stock called POL-LINE that the USDA Honey Bee Lab at Baton Rouge, LA developed. The bees express varroa-mite sensitive hygienic traits while maintaining highly productive behaviors required for pollination. 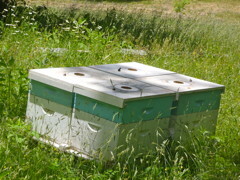 The Burrells place the hives, which are fitted with a migratory top, on special pallets for ease in moving them. In addition to sustaining Rabbit Creek Bee Company, the project helps ensure the success of local fruit and vegetable crops. Many crops would not exist without pollination at bloom time, while others would suffer a significant drop in yield. Bees are indirectly responsible for more than one-third of the nation’s food supply. Colony Collapse Disorder, mites and other pathogens, along with higher demands for honeybee colonies for crops such as almonds in California, continue to decrease the number of honeybees. “With grant fundin g and the additional income achieved from this project, we hope that within three years the farm can provide a majority of our income, and within four to five years we hope to be independent of outside income,” Tim said. Tim is heavily involved in the beekeeping community, leading workshops and mentoring new beekeepers. 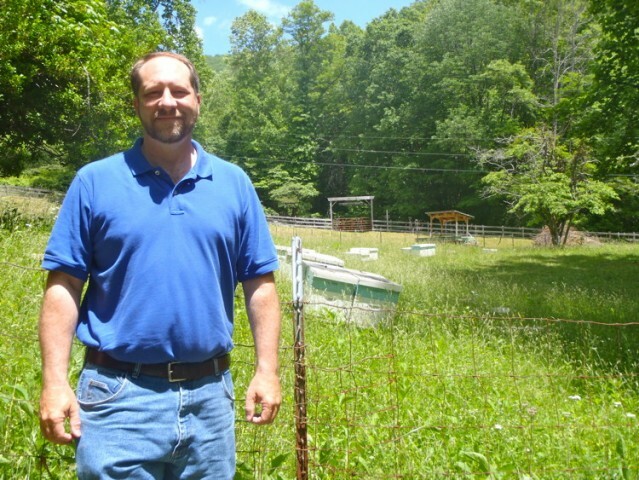 He is listing his farm on the Bee Linked website, which connects North Carolina growers with pollinators. See Rabbit Creek Bee Company on Facebook.